THE GENEVA DENTAL CLINIC IS RELOCATED! As of Monday, March 4, 2019, the entire team at La Terrassière is pleased to welcome you to the Adent dental clinic – Eaux-Vives. Located at 34, Avenue de Frontenex (200m from the current address), the clinic has a modern infrastructure and the latest technologies (3-Shape scanner, panoramic radiology, nitrous oxide treatment, Smile Lite camera). GENEVA DENTAL CLINIC MOVES TO ADENT DENTAL CLINICS! The merger of both teams constitutes a solid multidisciplinary dental centre and is an undeniable asset to welcome you and offer you a wide range of care under the best conditions. You now benefit from all dental care in one place, for adults and children. The Eaux-Vives dental clinic now offers orthodontic, implantology, dental hygiene and prevention, aesthetic care (bleaching, crown, veneer), specialized care for children (pedodontics) and takes care of dental emergencies. Dr. Gherras, dentist at Adent for more than 10 years and Head of the Clinic at La Terrassière, Mrs. Sonia Lambert, Assistant Dental Manager at Geneva dental clinic for 13 years and the entire team at La Terrassière will perform the same functions and guarantee the quality of care and reception at Les Eaux-Vives, in collaboration with the current team from Les Eaux-Vives. Since 1997, we have been offering a dental clinic network throughout Switzerland. Thanks to our network of specialists, we provide high quality dental care and service so that you always leave with a smile. Our clinics bring together all dental care, for children and adults, under one roof and offer extended weekday and weekend hours. Each Adent clinic groups together all the dental medicine disciplines on one site: dental check-up, scaling, implantology, aesthetics, surgery, orthodontics, dental emergency, bleaching. They are easily accessible by car (parking nearby) and public transports. 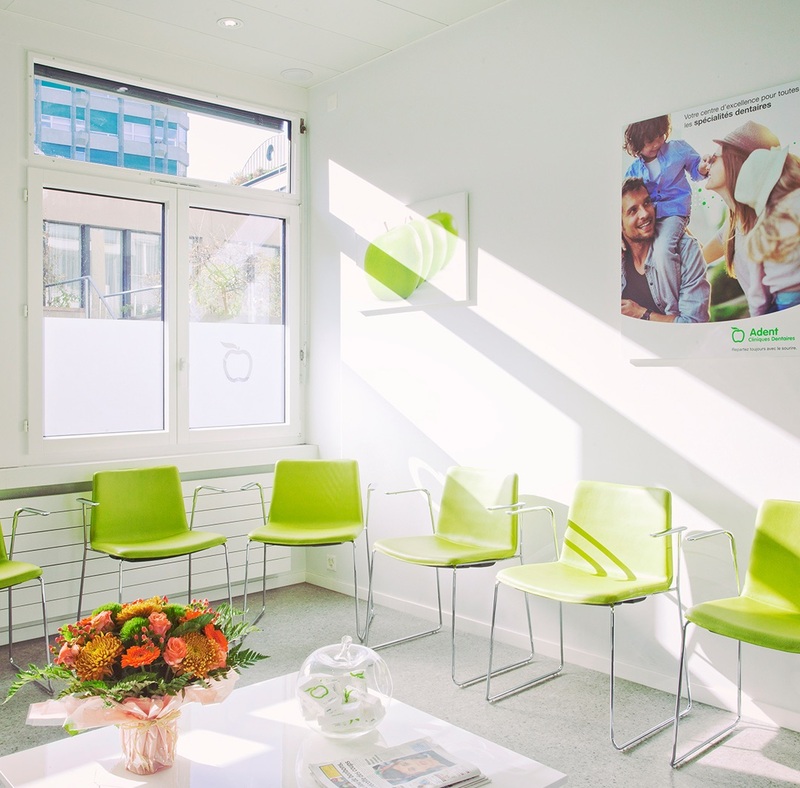 In Geneva, we ensure a presence with 6 dental clinics, each one with a unique atmosphere. Sunday: open for emergencies in Les Charmilles from 9am to 12pm. Sunday: open for emergencies from 9am to 12pm.